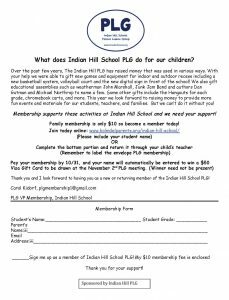 The Indian Hill School PLG (Parent Liaison Group) invites you to join us for the 2018/2019 school year. 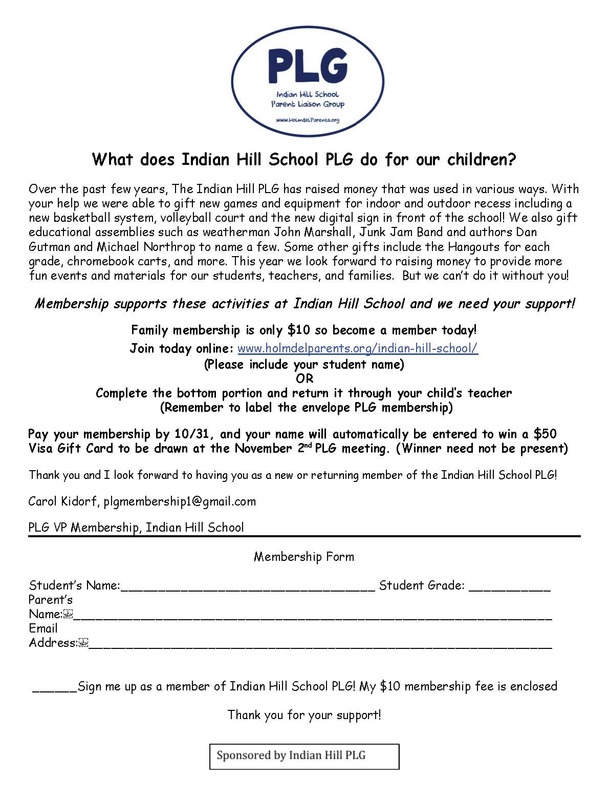 The PLG consists of Indian Hill parents, like you, who through membership and participation, enable us to raise funds that ultimately enrich the educational experience of all Indian Hill students through literacy and technology enhancements, games and athletic equipment, cultural assemblies & so much more. If you would like to be included in the PLG email updates, please include your email address on the form below. This is a great way to stay informed while protecting our environment! A family membership fee of $10.00 is greatly appreciated. We are hoping for 100% participation this year! Please fill out the form below and return to school with $10.00 membership fee in cash or check (payable to Indian Hill PLG). Envelope should be marked PLG Membership. Please submit by October 31st. We wish you and your family a happy and successful school year!